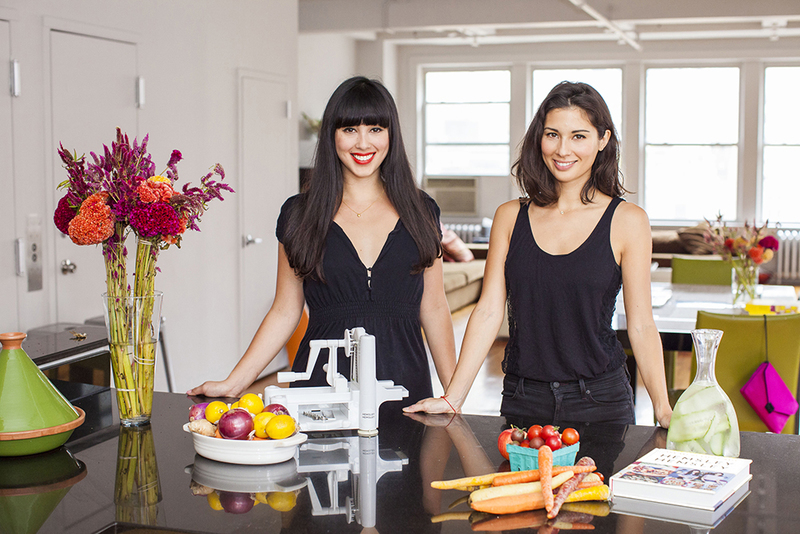 Jasmine and Melissa Hemsley talk cutting sugar, dancing like Beyoncé and what it's really like in their crazy kitchen. Miami based duo Daniela & Gaby are bringing Miami style and photography to a whole new level. Miami resident yoga instructors, Hilary Packin, chats with us about health and wellness in Miami. 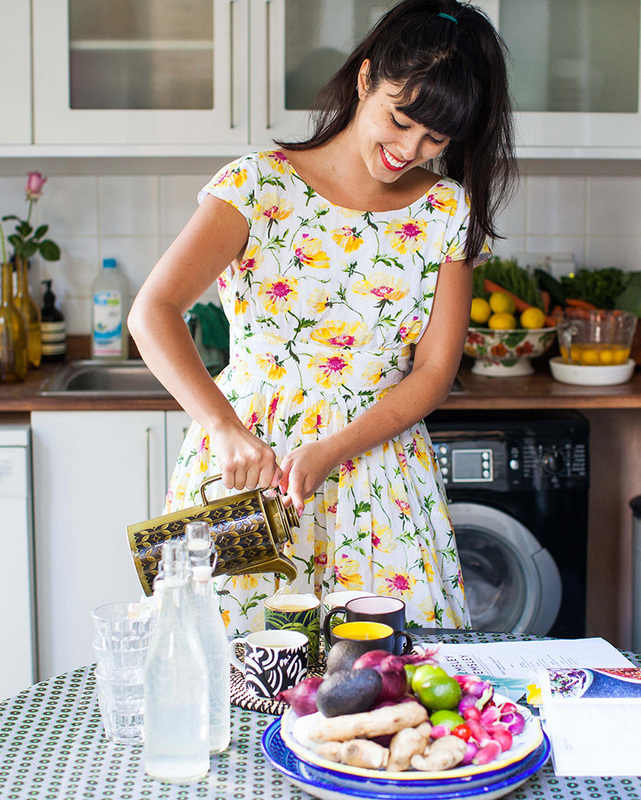 There seems to be no stopping Jasmine and Melissa Hemsley. Their name has even become synonymous with that aspirational kind of health that beams out of you on Instagram: green, glowing, fit and happy. How to use it in a sentence? When complimenting a friend on her delicious gluten-free desserts, "how very Hemsley and Hemsley of you." In 2014, their first cookbook, "The Art of Eating Well" became a bestselling success and put them firmly on the map. Then, their eponymous spiraliser became the de-rigeur kitchen gadget for the health conscious cook. 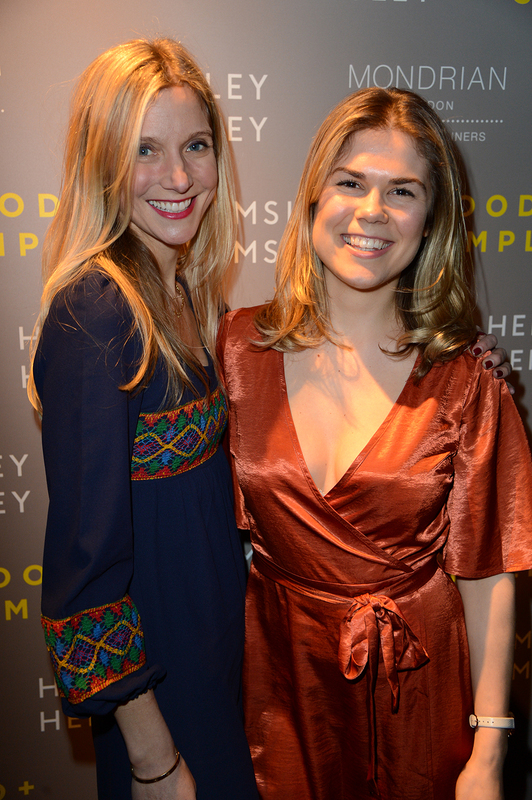 Now, two years later, they're ready to launch their second cookbook, "Good and Simple". It's guaranteed to fly off the shelves and is, in their words, "a perfect companion" to the first. We sat down with Jasmine and Melissa just before their launch party in Mondrian London's Rumpus Room to discuss their introductions to nutrition and wellness, the philosophy behind the cooking and their London recommendations for the health-conscious traveler. How did you first get into nutrition and become passionate about it? We were raised on our mum’s traditional home-cooking; she’s a big believer in tasty comfort dishes made from scratch with real ingredients, so we were lucky enough to learn an appreciation for good, honest food from a very early age. Jasmine started modeling when she was 19 and – being involved in the fashion industry – she was always aware of what she was eating, and soon became fascinated by all of the different and opposing ideas surrounding health, food and nutrition. So we started to do some research and figure out which kinds of food made us feel our very best...and which were making us feel terrible! It took years of study and self-practice to develop our philosophy for eating well, which we found (to our delight!) hugely improved our digestion, energy levels, skin, mood and overall sense of well-being. Once we realized how great the right food made us feel we were totally hooked, and we haven’t looked back since! How do you work together? What’s a typical day like in your kitchen? There’s really no such thing as a typical day for us, every day is totally different – but that suits us fine, variety is the spice of life after all! On an average day we could be doing anything from developing and testing new recipes, hosting a cookery class, curating a menu for a private client or large event, giving an interview, having a photo-shoot or we could be on the road either on tour or at various festivals doing book signings, demos, talks and Q+A sessions. Sometimes we’ll be doing three or four of these things all in one day, so it can be pretty tiring – but it’s certainly never boring! Regardless of the schedule though, we both always try to fit in our daily essentials – at least 20 minutes of yoga or some kind of exercise (whether just a run in the park with our dogs or a full workout class) and 20 minutes of meditation to keep us focused, stress-free and feeling our best mentally and physically. What stands out for you guys in your careers so far as a “pinch me” moment? It’s all been an amazing experience and a bit of a rollercoaster ride so far, it’s difficult to pick out just one major highlight. One thing that never gets old though is getting to hear all the personal feedback and success stories from our readers who have had followed our recipes and food philosophy, totally transformed their eating habits and feel much happier and healthier because of it! People are so grateful and it’s wonderful to feel like you’ve helped them achieve that in some way. As well as that, seeing our books in bookstores all over the world, going to amazing festivals up and down the country and going on Saturday Kitchen (twice!) has been really fun. Mel had to do the omelet challenge with Wolfgang Puck and lost out because he pulled out some caviar on his! For someone looking to adopt a healthier lifestyle, what are three simple changes or things you would suggest incorporating or embracing immediately? 1) One of the biggest and best changes that you can make is to start swapping refined sugar for natural sugars – and less of them! Everyone knows that too much refined sugar can be really terrible for your health (there’s no denying it) so start weaning yourself off refined sugar by substituting it for small amounts of natural sweeteners, like raw honey, maple syrup, dates or other fruits. You’ll be surprised, it’s actually a lot easier than you’d think – these natural sweeteners won’t have the same roller-coaster effect on your blood sugar levels that refined sugar will have, but they will satisfy your sweet tooth – and it’ll work out much better for you in the long run. Remember though, that even natural sweeteners do contain sugar, so it’s still best not to have too many of these in your diet. 2) Avoid refined, heavily processed carbohydrates like regular wheat bread, pasta, noodles and rice, and try replacing them instead with more nutritious Wholefoods. Swap pasta and noodles for spiralized veg, and make Cauliflower and Broccoli Rice instead of white rice or couscous; they take literally five minutes to prepare, they’re full of nutrients and taste delicious! You can also vary your diet by including pseudo-cereals like quinoa, buckwheat and amaranth, which are a great Wholefood alternative to other refined carbohydrates. 3) When you’re frying and baking, leave out the hydrogenated vegetable oils and start using coconut oil, ghee and grass-fed butter instead. Refined plant and veg oils are less heat-stable and they lose their natural flavour and nutrients when used for cooking at a high temperature. So save the extra virgin olive oil and cold-pressed oils like flax or avocado oil for drizzling over the finished meal in their raw state – it’s better for you and for your food! Your philosophy isn’t just about diet. You incorporate a lot of ideas about living well in your philosophy-things like yoga and mindfulness. Tell us a little bit about how you incorporate these things into your busy lifestyles. Our motto is ‘good food, good mood, good digestion, good health’ because we believe that all of these things are deeply connected; of course this means that our philosophy is about a lot more than just food and eating well. It’s about keeping a healthy balance of all four, (food, mood, digestion and health) which will make you feel like the best version of yourself! We practice mindful eating in a number of different ways. The first is in the way we thoughtfully source our ingredients; provenance is absolutely key to our philosophy – not just for ourselves but also for the environment – so we always look for good quality, ethically and sustainably sourced produce that has been grown and reared as naturally as possible. Another way of incorporating mindfulness into your daily life is by always paying attention to the task at hand, rather than just eating on autopilot. We know this is easier said than done, but try to make the effort to sit down and spend some time over dinner. Don’t rush – eat slowly, chew your food properly, and enjoy being in that moment – this includes enjoying the company, or even a bit of alone time if you’re eating by yourself. A foodie for us is someone who takes the time to savour the flavours, textures and colours of each dish, it’s almost like a form of meditation and it’ll make you appreciate each bite even more! We do yoga every day and we can’t imagine our lives without it; it’s such a great way of keeping grounded and forcing yourself to just breathe and take a moment to step out of your busy life and simply enjoy stretching and using your body. Fans of yours are so excited about your café opening in Selfridges in April. Can you tell us about creating this menu and what we can expect? We wish we could share more news with you but for now it’s top secret. 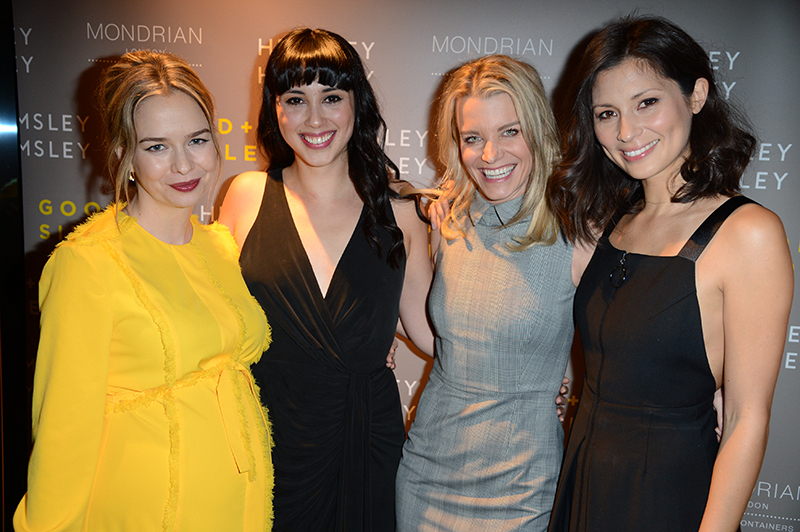 We cannot wait to open the doors to our first cafe on 4th April, Hemsley + Hemsley at Selfridges! What are your favourite healthy eating spots in London and what do you love to order there? M: I’m lucky enough to have a couple of award-winning gastropubs nearby – the Camberwell Arms and Canton Arms. They’re perfect for a relaxed weekday meal and you can be guaranteed that whatever they’re serving will be great, so I usually just order something from the specials board. A new amazing discovery is the Newman Arms (recommended to us by our friend Clerkenwell Boy – follow him for the best food tip-offs), the food is great and they place a lot of importance on the quality of the ingredients, they’re all from small producers in Cornwall – which we love to support! I also love the super green cold-pressed organic juices from Raw Press (one on Dover St and one on Ellis St). Favourite place in London to escape it all? J: The Peace Garden just next to the Imperial War Museum is a little haven for me. It’s really strange but for some reason, no matter when I choose to go, that spot is always sunny. M: Sometimes nothing beats a long walk in Hampstead Heath; it’s great for getting some fresh air, clearing my mind and you get some pretty cool views of London while you’re at it, while still feeling removed from it all. I’ll take my dog Nelly and a picnic! If I’m actively trying to relax then I’ll try meditating, wherever I happen to be – I do it on the tube all the time! J: Pretty much anything goes except the gym! No matter what you’re in the mood for, FRAME always has something to suit it so I go there a lot. I also love Flo Yoga, and if I’m short on time I’ll just go for a run around the park with my boyfriend Nick and our puppy Julie. M: FRAME has a huge range of really great classes – I love the reformer pilates and Dance Like Beyonce classes. TriYoga has all different kinds of yoga and if I’m in the mood for really working up a sweat then I’ll go to Faisal at Barry’s Bootcamp – he’s full of energy and getting to work out to old-skool UK garage is my real guilty pleasure! You both have great style, where do you love to shop in London? M: Yeah, Selfridges is my go-to department store and I really like Liberty too, as you can take dogs in! I also love House of Hackney prints for dresses and SCP, Skandium and Goodhood in Shoreditch for homeware. 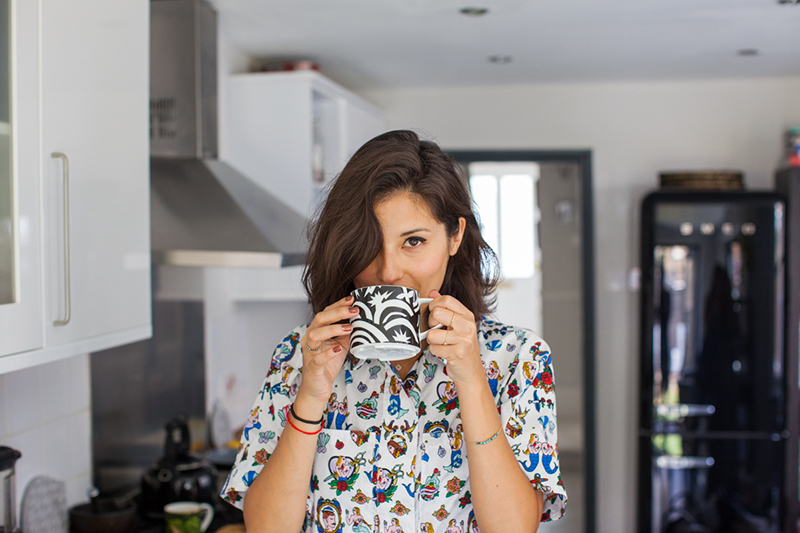 Who are some of your favourite healthy and foodie Londoners to follow on social media? We follow loads of healthy and foodie people on social media, both Londoners and internationally. Some of the first names that spring to mind are Clerkenwell Boy (for top restaurant picks in London and when eating abroad), Sarah Wilson (I Quit Sugar) and Tara Stiles (for great online yoga videos).